You're craving your favorite restaurant meal, but not the drive, wait or the bill. Make it yourself! Skip the restaurants and save money with these recipes that taste just as good as the real thing, but for a fraction of the cost! Whip the room temperature butter with whisk attachment for 30 seconds. Add powdered sugar, honey and cinnamon and beat until completely combined and very smooth. Scrape down sides of bowl and turn up speed and whip for a minute or two or until really light and fluffy. Preheat oven to 400°. Combine flour, baking powder, salt and butter in a large mixing bowl and use an electric mixer to combine, starting slow and working your way up to medium speed, until you’ve formed a dough with pea-sized lumps. Slowly add in milk (keep the mixer on low to avoid splashes). Fold in garlic powder and cheese. Use a spoon to place 2" blobs of dough onto a parchment-lined baking sheet. Bake until lightly golden, 18 to 20 minutes. Melt butter in 20-second intervals in the microwave, stirring in between, until fully melted. Stir in parsley and garlic powder. 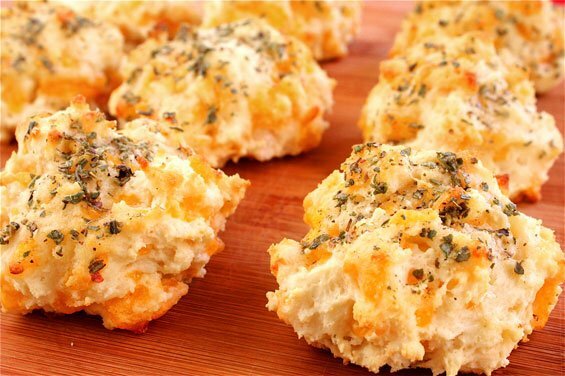 Brush mixture on top of each biscuit as soon as they’re out of the oven and serve immediately. In shallow baking dish, whisk egg, milk, ½ teaspoon paprika, and water together. In another baking dish, whisk both flours, powdered milk, confectioners' sugar, baking soda, dry mustard, and remaining ½ teaspoon paprika and season with salt and pepper.Meanwhile, heat about two inches of peanut oil to 325 degrees F in a heavy-bottomed pot or cast iron skillet. While oil heats, slice pickle, and set aside. Working in batches, dip chicken in the egg mixture, turning to coat, then dredge in flour mixture and shake off any excess. Fry the chicken in hot oil, using a candy thermometer to monitor oil temperature, until golden brown, about 4 minutes. Drain on paper towels. Heat a large skillet over medium heat. Spread the cut side of the buns with some butter, and lightly toast in the skillet, buttered-side down. To assemble sandwiches, spread grilled buns with more butter, dip 2 pickle slices in jarred pickle juice to moisten and place on the bottom bun. Top with a piece of fried chicken and the bun top. Combine flour, salt and baking soda in a medium bowl and stir to combine. Lightly beat the egg in another medium bowl and combine with sugar, butter, and shortening, mixing well until smooth. Add the half & half, milk, buttermilk and vanilla and mix well. Add the dry flour mixture to the wet mixture while beating and mix until smooth. 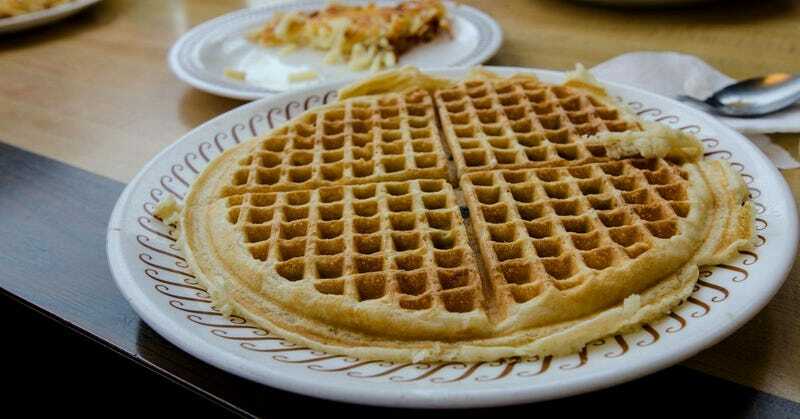 For pecan waffles, add 1/4 cup chopped pecans before pouring the batter onto the waffle iron. Place 1 cup flour in a shallow bowl. In a separate shallow bowl, whisk eggs and 1/2 cup milk until blended. Sprinkle steaks with 3/4 teaspoon each salt and pepper. Dip in flour to coat both sides; shake off excess. Dip in egg mixture, then again in flour. In a large skillet, heat 1/4 in. of oil over medium heat. Add steaks; cook 4-6 minutes on each side or until golden brown and a thermometer reads 160°. Remove from pan; drain on paper towels. Keep warm. Remove all but 2 tablespoons oil from pan. Stir in the remaining 1/4 cup flour, 1/2 teaspoon salt and 1/4 teaspoon pepper until smooth; cook and stir over medium heat 3-4 minutes or until golden brown. Gradually whisk in water and remaining milk. Bring to a boil, stirring constantly; cook and stir 1-2 minutes or until thickened. Serve with steaks.